Unfortunately there isn't any chewable product for cats which treats tick and fleas. Cats are very fussy eaters, it looks like nobody has come up with a right formula yet! 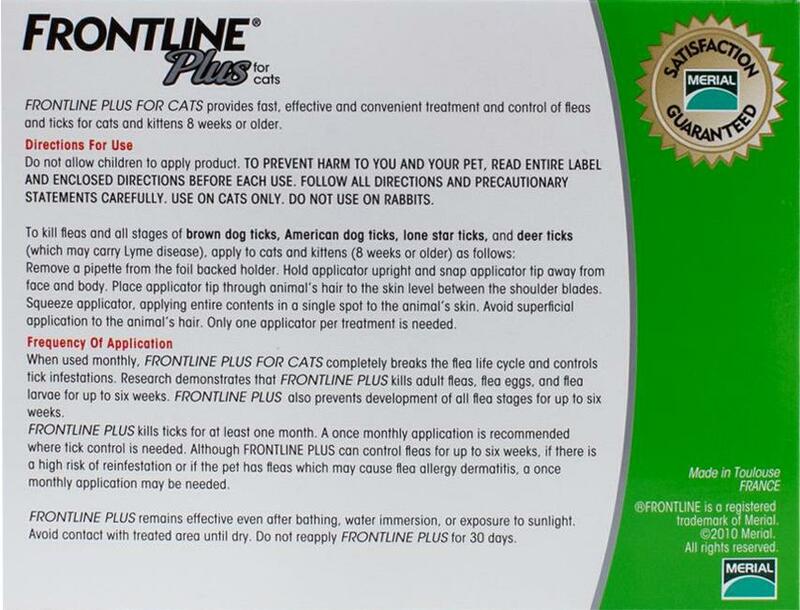 I previously ordered Frontline Combo for cats from you and now cannot find it on your site, just this one. Is this the same with a new name or are you no longer stocking the Combo one? We are no longer stocking Frontline unfortunately. May I suggest Advantage Multi or Advantix? Pipettes are small plastic flat tubes containing an exact single dose that make it easy to squeeze a topical treatment to your animals neck or back. You simply snap the top and squeeze it. I've been using this on my two cats for two months now. My shorthair is fine but my long hair cat has lost his hair at the application site. I'm trying to find out if it will grow back.